Everyone forgets their keys from time to time and there is almost no way to get through adulthood without locking your keys in your car once or twice. It’s just the way of the world. But that doesn’t mean there aren’t a few ways to keep your memory fresh. 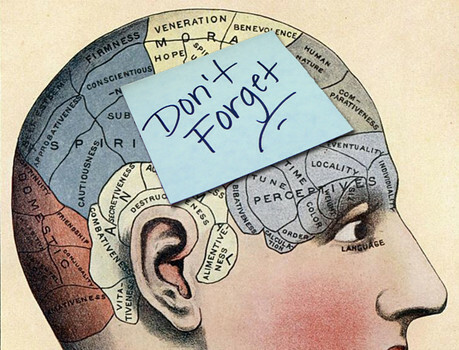 Take a look at a few ways to make sure your memory is in tip top shape. 1. Get in a routine: If you go about putting your keys or wallet in the same place every time you get home from work, or make sure your keys go in your purse as soon as you take them out of the ignition in your car, you’re more likely to remember to do it more often. Repetition makes for good habits. 2. Focus: It sounds simple, but if you can direct your attention to something for at least ten seconds, you are more likely to remember it. It’s when we almost get into too much of a routine that we can forget things. 3. Exercise: Not only will your waistline thank you, but your brain will be much more likely to remember with regular exercise. 4. Get a good night’s sleep: We all know that groggy feeling after not sleeping enough. A lack of sleep also contributes to a bad memory. Get those eight hours in! 5. Play brain games: Your smartphone isn’t just for surfing Facebook. There are numerous apps designed to stimulate brain activity that can help you remember where you put your keys last night. If any of these fail, don’t forget to contact 24/7 Emergency Locksmith when you do lock your keys in your car. We’ll remember to come to you in a jiffy!